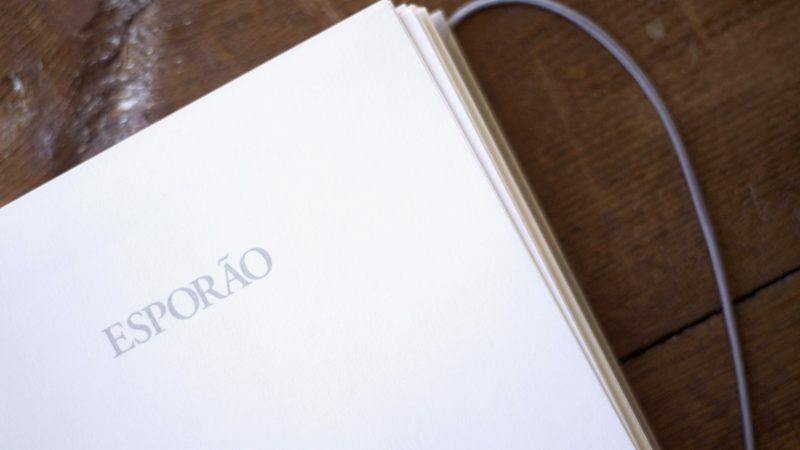 In recent years, we have invited an artist or designer to help us create Esporão’s diaries. 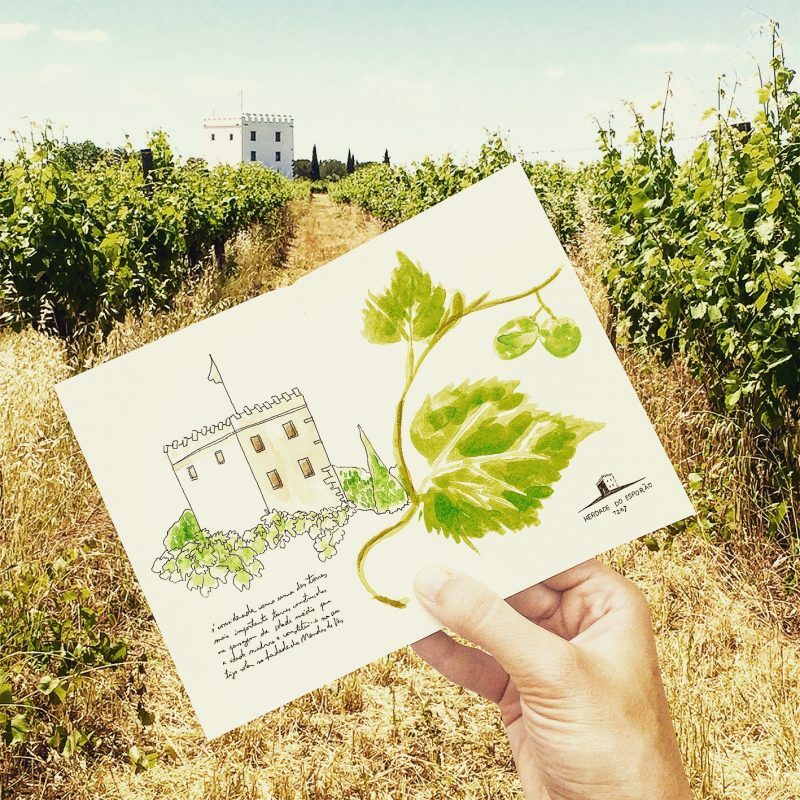 For the 2016 edition, we chose the most important phases of the vineyard during the viticultural period, with artist Susana Monteiro illustrating each month. 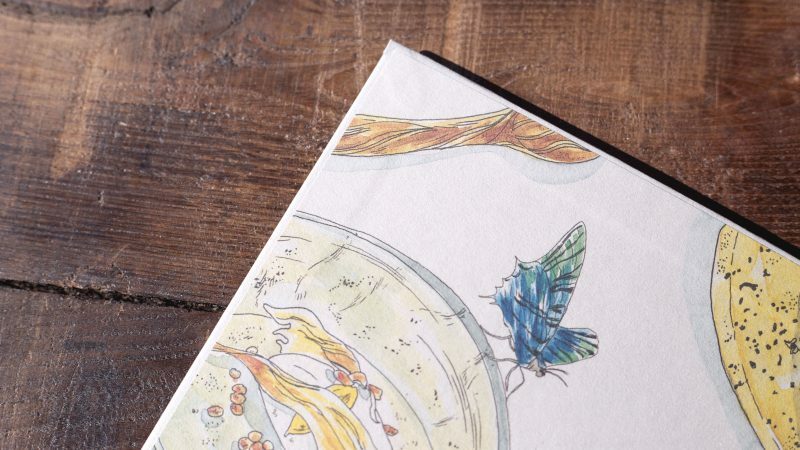 This year, we decided to create a smaller, more practical diary. 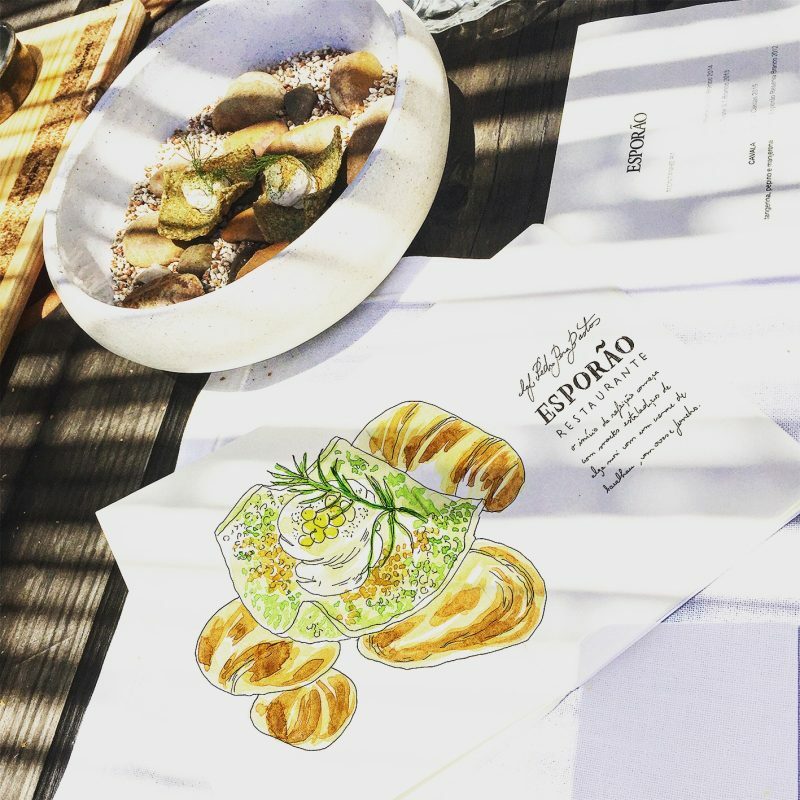 We knew we wanted the theme to be gastronomy, thus strengthening our connection to Portuguese food. 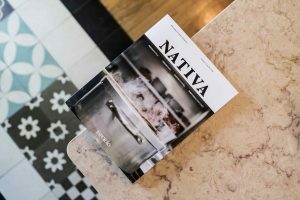 To do so, we decided to share some of our staff’s favourite recipes, which means that, from January to December, there are 12 different dishes for you to discover and cook. 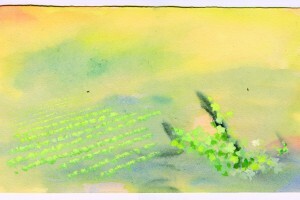 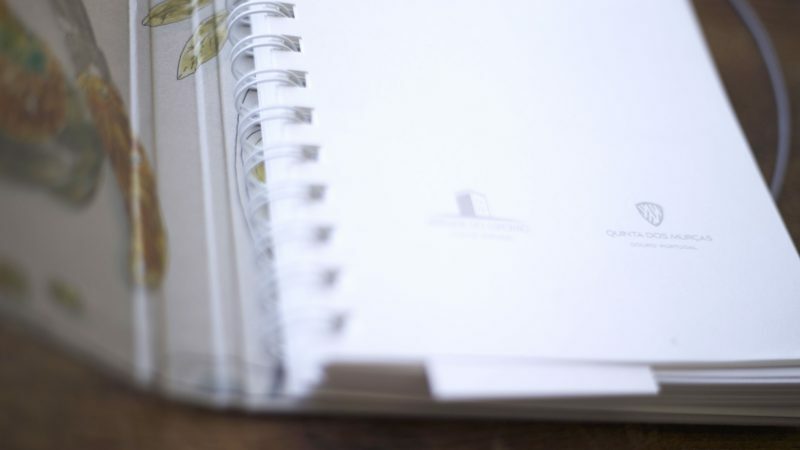 To illustrate our recipes, wines and olive oils, we invited Ana Gil, a trained architect, who draws “everything she sees”. 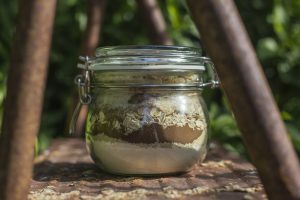 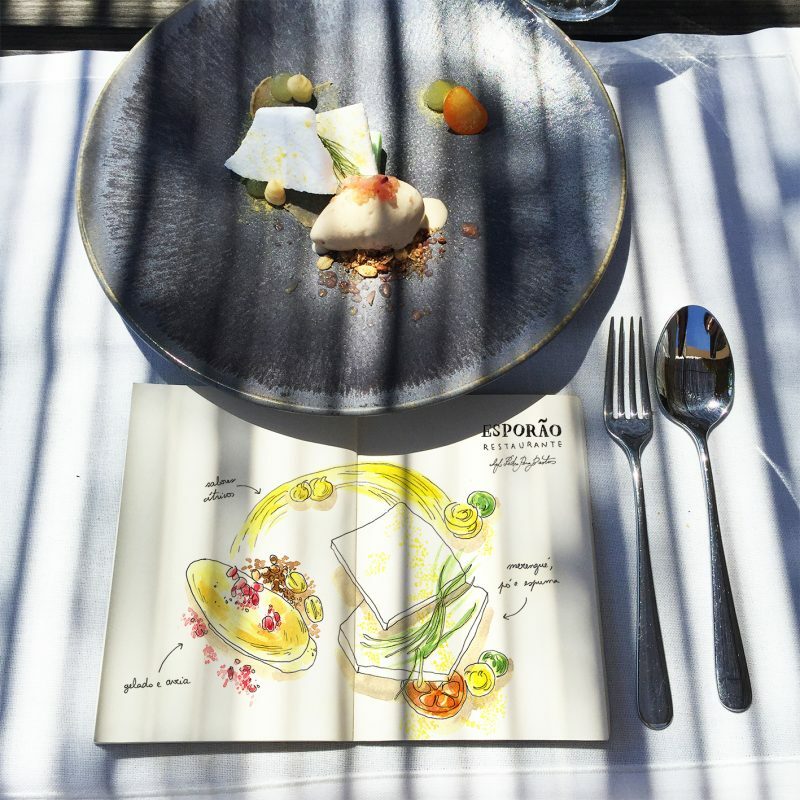 That said, her fascination and curiosity regarding gastronomy has a major influence on when she picks up a pen, and drawing what she eats is like taking all the world’s flavours home with her. 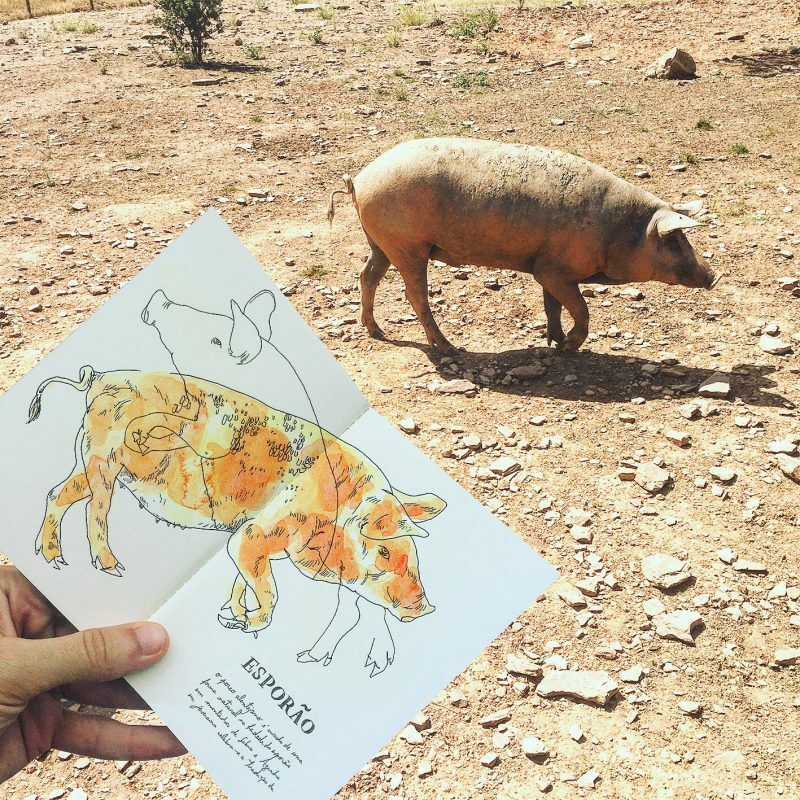 Using Indian ink and myriad watercolours, she traced the lines and shapes of the 12 recipes, offering plenty of delicious and inspiring possibilities; from Ana Maria’s octopus à lagareiro to Catarina Santos’ Christmas turkey. 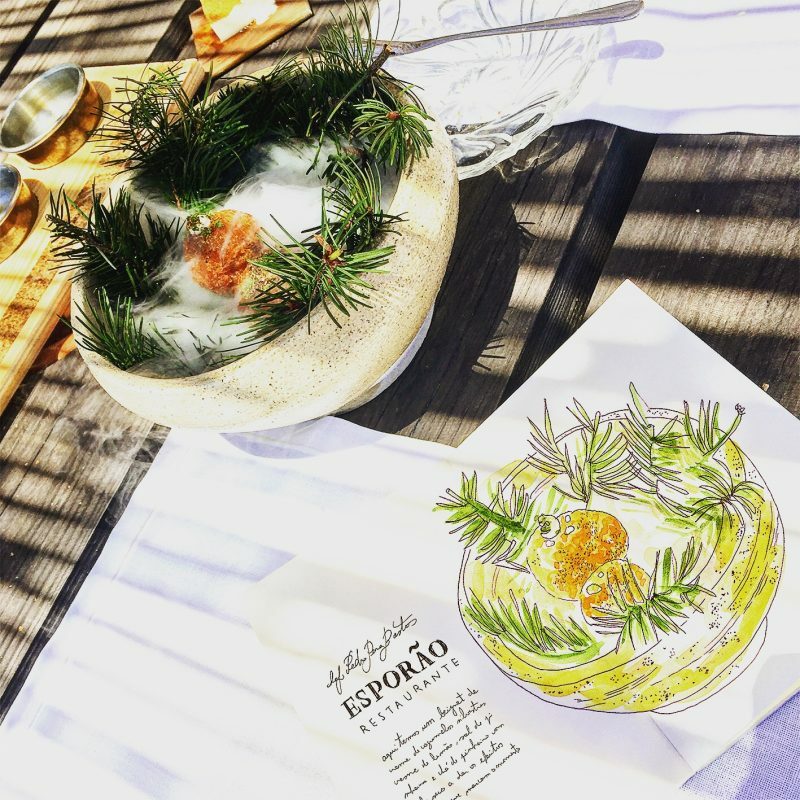 After having visited us and illustrated a number of dishes at the Esporão restaurant, there was a mutual desire to work together. 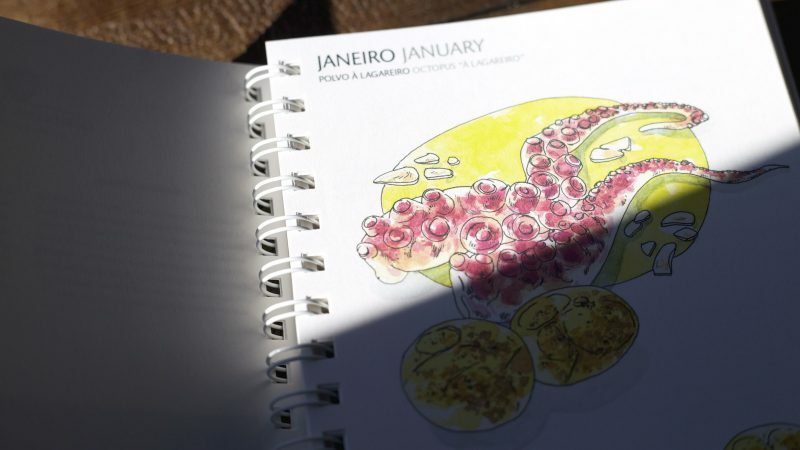 The 2017 Esporão diary was the perfect pretext and opportunity. 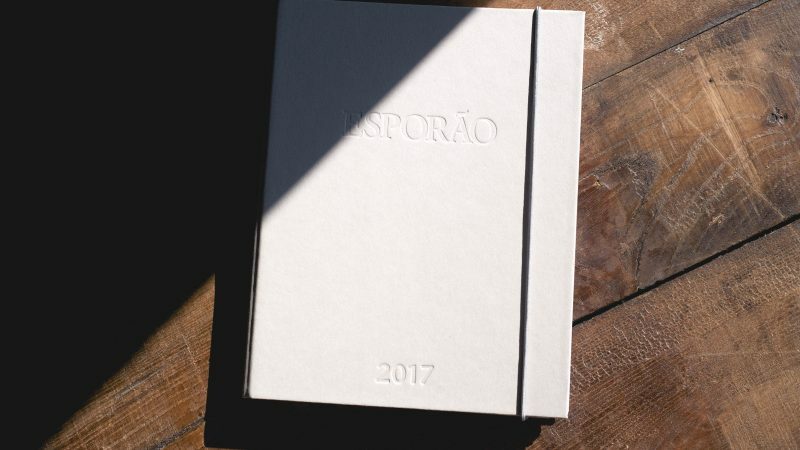 The 2017 Esporão diaries are available at Herdade do Esporão’s wine tourism shop.